Happy Wednesday!! 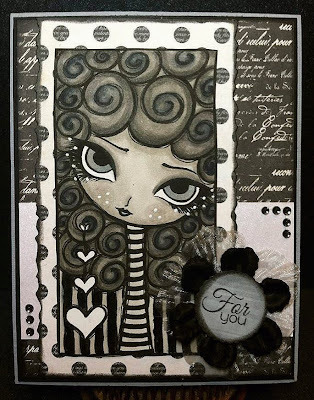 Today I am excited to share with you my first card created in only grey, black and white! This digi is from Dilly Beans. The copics I used to color her were W1, W3, W5, W7, C5 for the eyes and Black 100. All the paper is from Echo Park. Do you need some? I get mine here from Abby who does SUPER FAST shipping!! Thanks to everyone who hopped through the blog hop celebrating Michelle's birthday!! Here are the winners..
Congrats winners!!! Please email me at admin@jadedblossom.com to claim your prize. 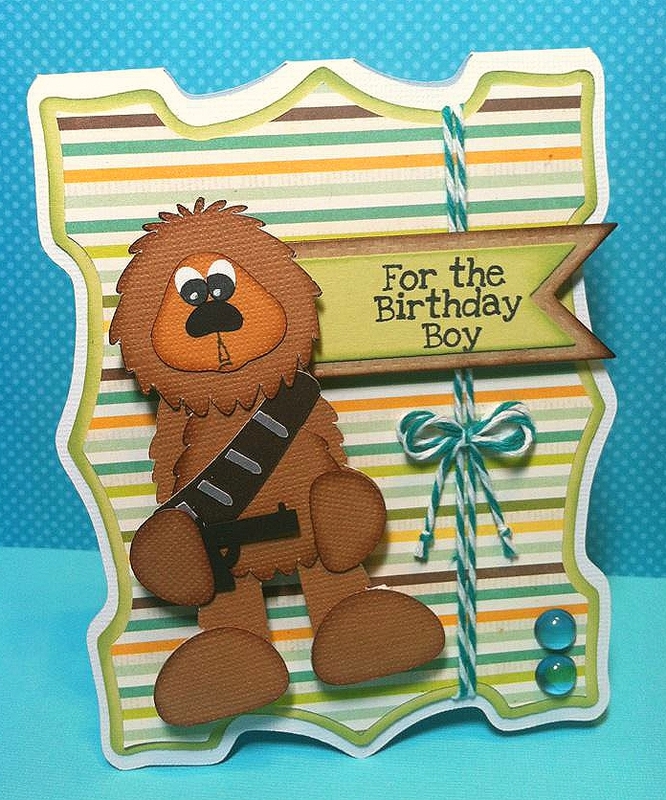 Happy Friday and WELCOME to Michelle's SWEET Birthday Blog Hop! 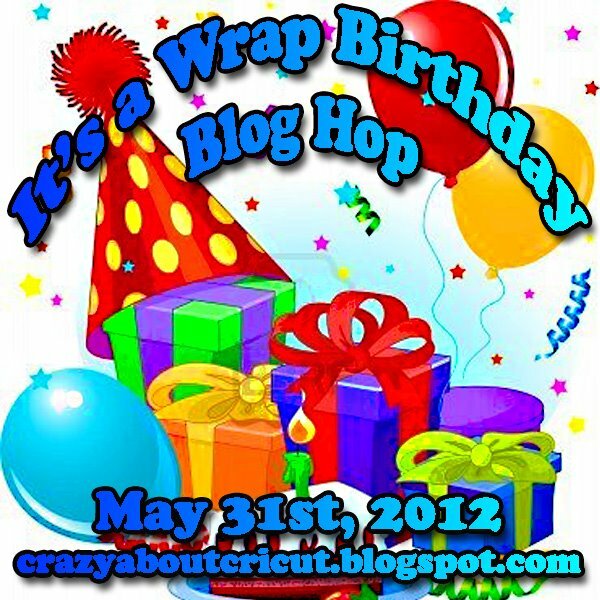 First things first..
AND it wouldn't be a blog hop unless we had prizes!! 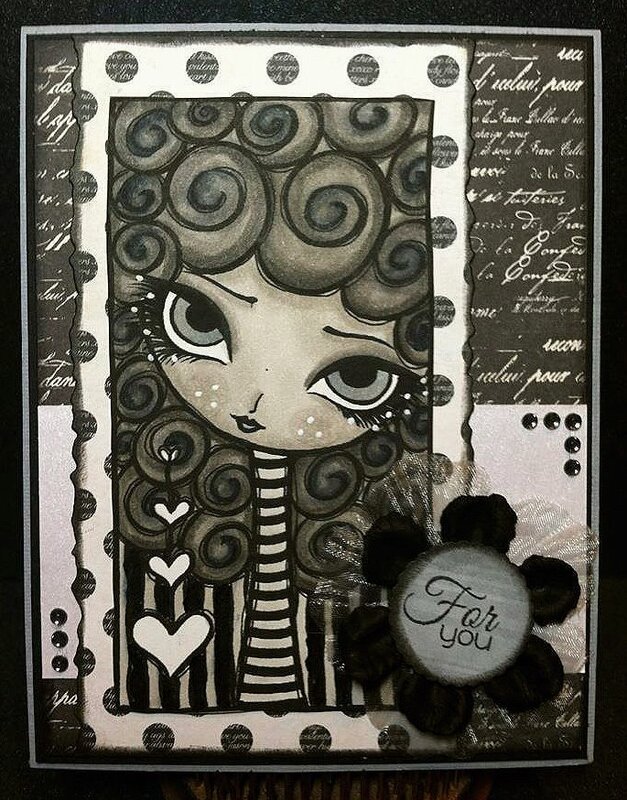 Jaded Blossom has generously donated two stamp sets! Gumball and Sweet Celebration. To qualify to win one of them you must comment on all the blogs! 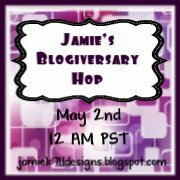 Make sure to visit Jaded Blossom when your done to wish Michelle a Happy Birthday AND qualify to win a huge prize pack that is being given away just on that blog!! Now on to my project.. I created this cake box for Michelle! I cut it out from a file in the Silhouette store. 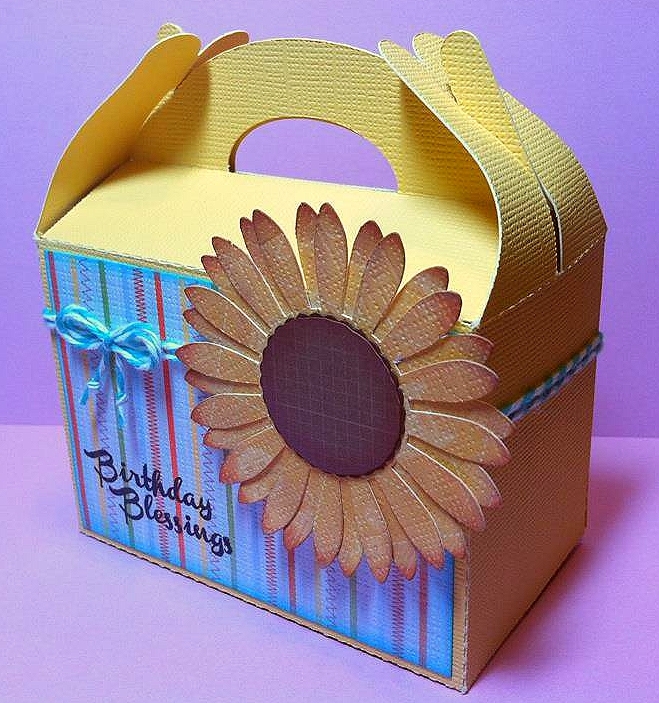 Then spruced it up a bit with ribbon, flowers and wire! 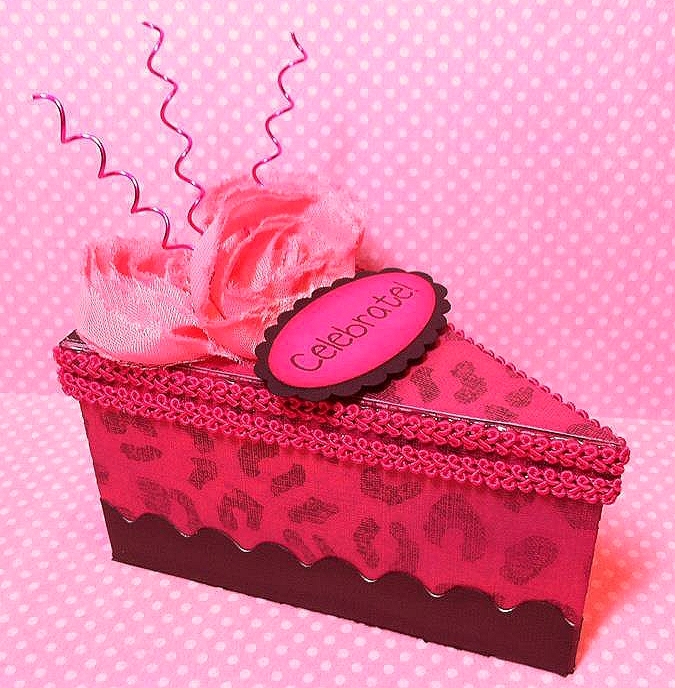 Oh and I just had to use one of her favorite color combos, Pink & black! And of course I had to stuff it full of one of her favorite candies.. Rolos!! "Celebrate" is from Jaded Blossom "Misc. Fun" stamp set. Thanks for hoping along to celebrate Michelle's birthday. Here is the line up again.. your next stop is Jamie! 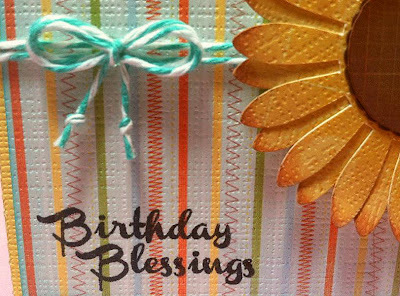 And don't forget to head over to Jaded Blossom at the end to wish Michelle a Happy Birthday!! Happy Thursday!! Todays card was inspired by the colors Red and Black. I just LOVE how this one turned out! Digi is from Dilly Beans. 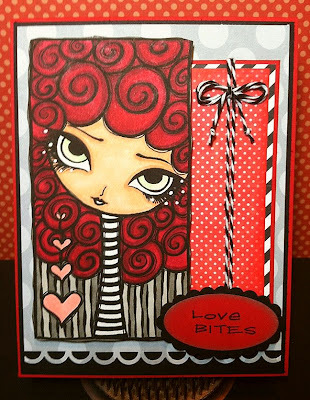 Sentiment is from Jaded Blossom "Love Bites" stamp set. And all of the paper is my fav, Echo Park! Happy Wednesday! Today I am sharing with you some Flower Wands I created! I filled the wands with some Sixlets I got from Party City. Hello and Happy Tuesday! 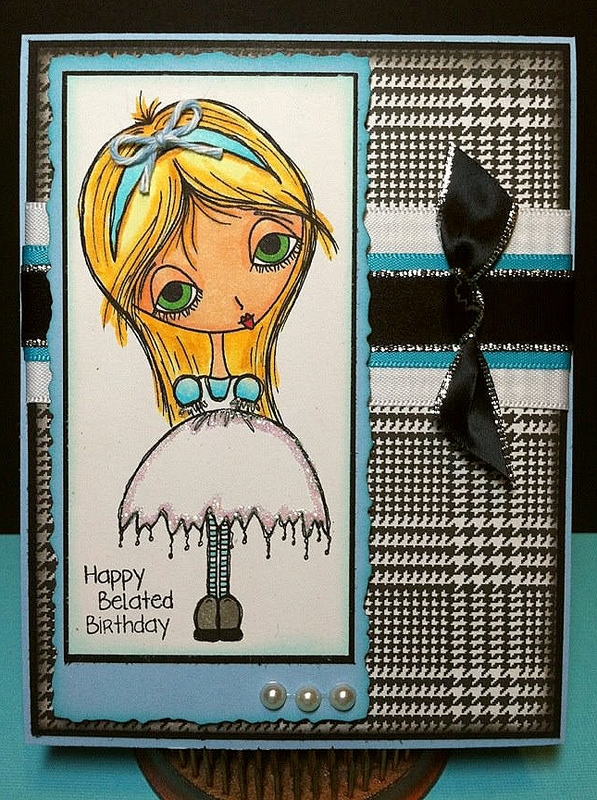 Today's card was inspired by the background paper. I loved how it was lighter colors of grey and yellow. The Digi is from Dilly Beans. 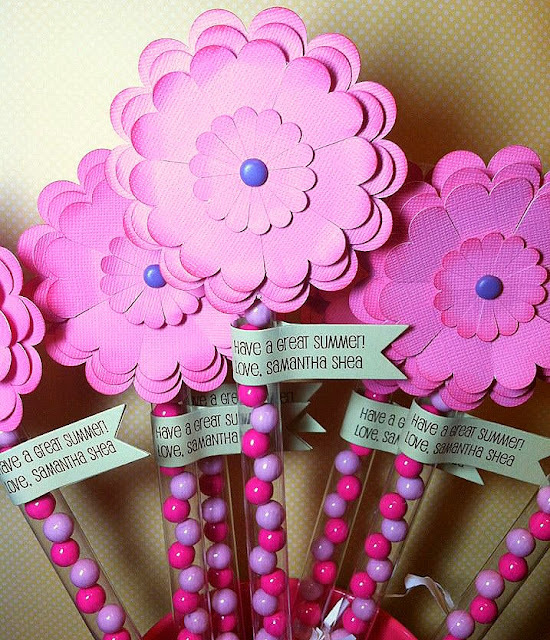 The sentiment is from Jaded Blossom "Misc. Fun" and of course I used the Jaded Blossom flag dies at the bottom. Happy Sunday! 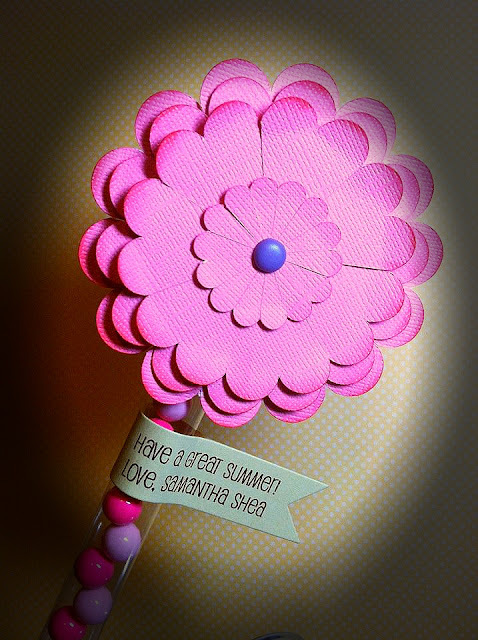 Today I've created a card for the Dilly Beans challenge "Flowers". 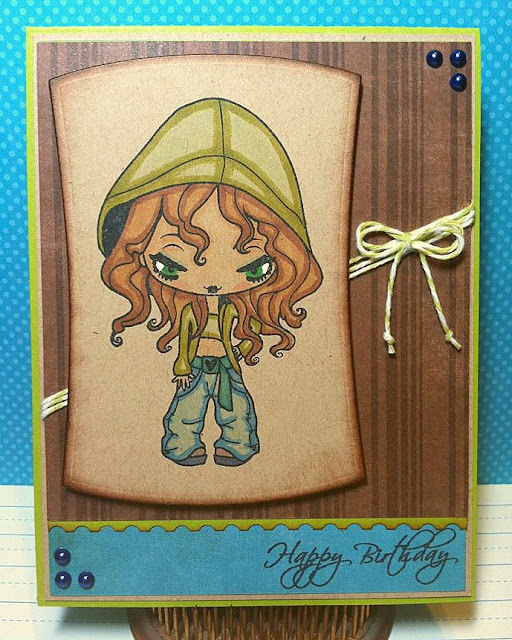 I am just in LOVE with these Digi stamps from Dilly Beans. This one is called Lila. Hi Everyone!!! 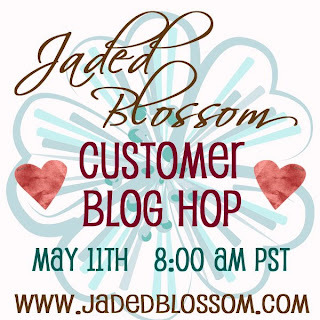 Welcome to the Jaded Blossom Customer Blog Hop! If you've come from Jaded Blossom then you are in the right place. If not and you would like to see the link list please click here. Here is my project! I decided to use one of the free digi's that you can get this weekend over at Jaded Blossom. 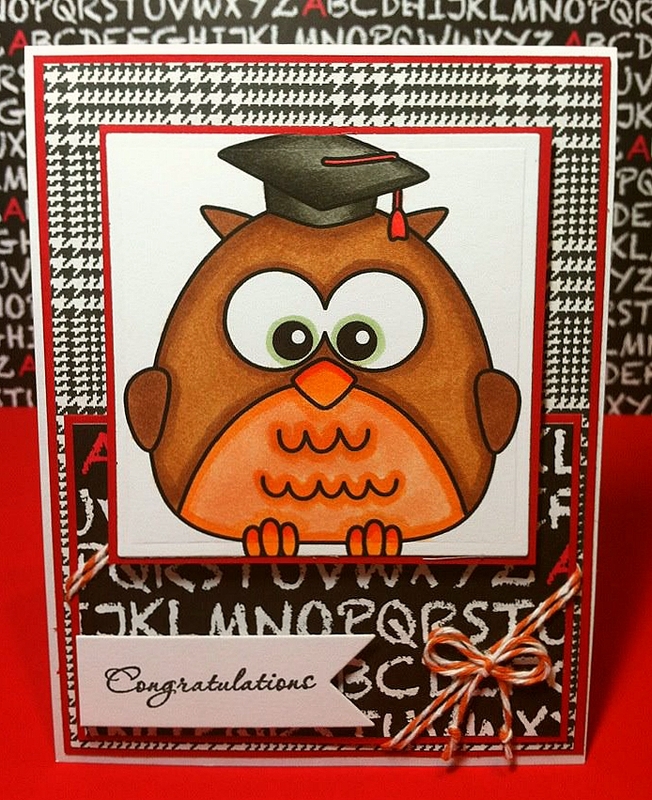 This is the Graduation Owl. I paired him with the Flag Die and Wedding Wishes for "Congratulations" stamp sentiment. 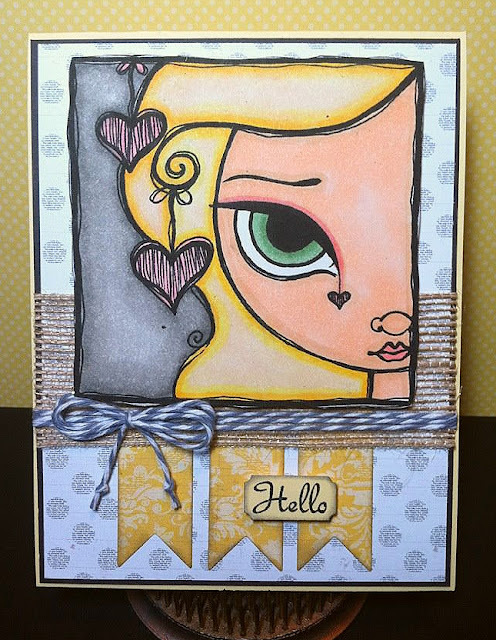 Want to get your hands on this flag die and stamps? This weekend only everything is on sale! Use coupon code 10OFF for 10% off your entire order or 15OFF for 15% off your entire order of $50 or more! 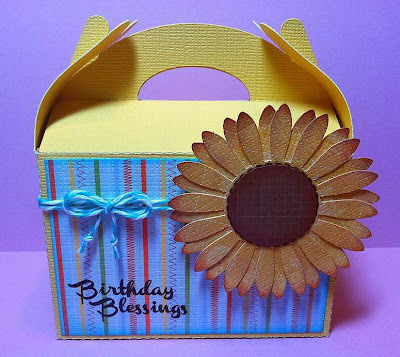 Everything is on sale- Stamps, Flag Die, Boxes, Bags, Straws... everything!! Thanks so much for checking out my project! Head back to Jaded Blossom for the next on the list! Happy Thursday! Ok so I've been totally addicted to my copic markers again! 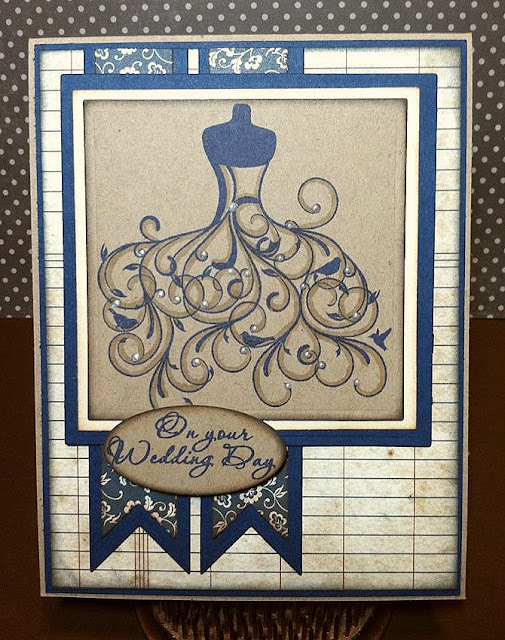 I've been wanting to try stamping/coloring on kraft paper for some time now but was a little intimidated. Anyways, here is my first attempt! I'm pretty happy with how it turned out. 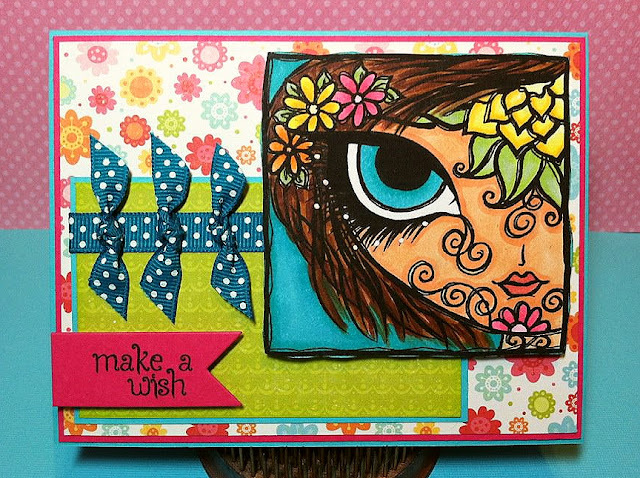 Happy Birthday is from Jaded Blossom "Make a Wish". This girl is from Greeting Farm "Riley"
Thanks for visiting!! 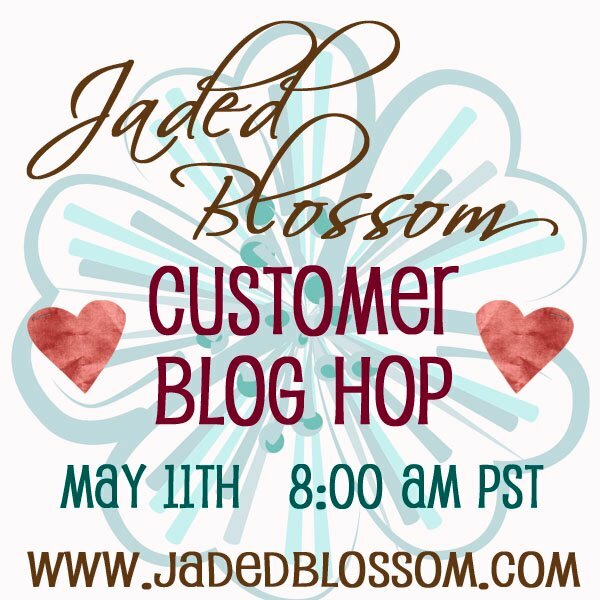 Make sure to come back tomorrow for the Jaded Blossom Customer Blog Hop! Ok ok.. 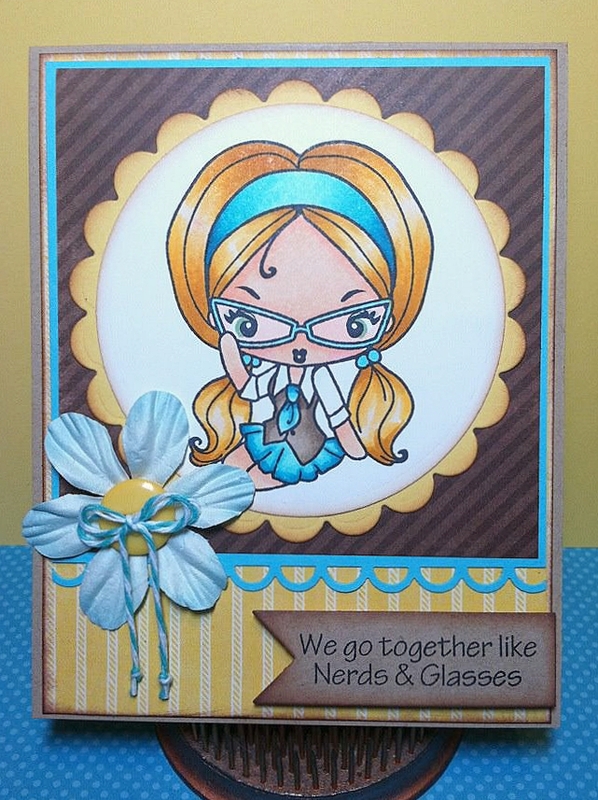 I had to do another NERD card with the TGF Cheeky Geeky! 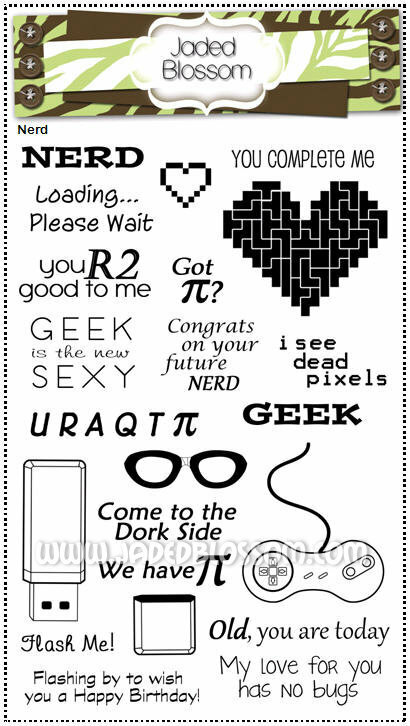 from Jaded Blossom's Nerdy Owl. I also used Jaded Blossom's Flag Die for the sentiment. The paper is Echo Park and the twine is from The Twinery. Happy Tuesday! I'm sooo excited to share today's card! 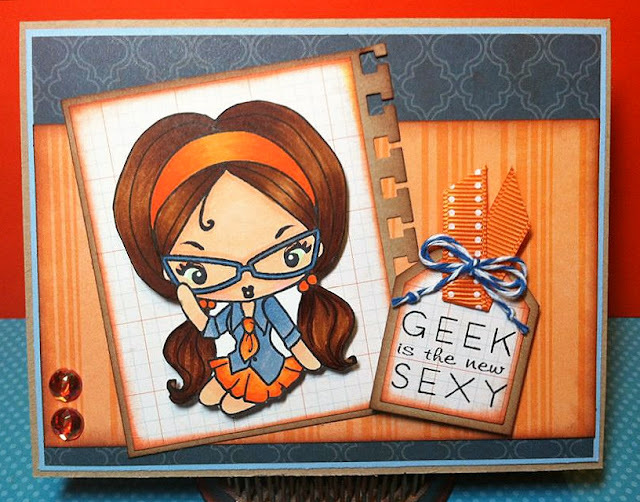 I love my Jaded Blossom NERD stamp set and anytime I get to use them I get excited. So of course when Greeting Farm came out with their newest chick, Cheeky Geeky I had to get her! She pairs perfectly with the NERD stamps! Of course I had to add some ribbon, twine and bling!! And the paper is all Echo Park. Happy Monday! I hope everyone had a great weekend. 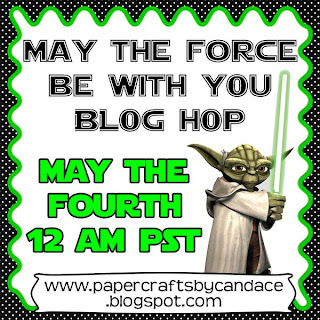 Did you hop through the May the Force be with You Blog hop? 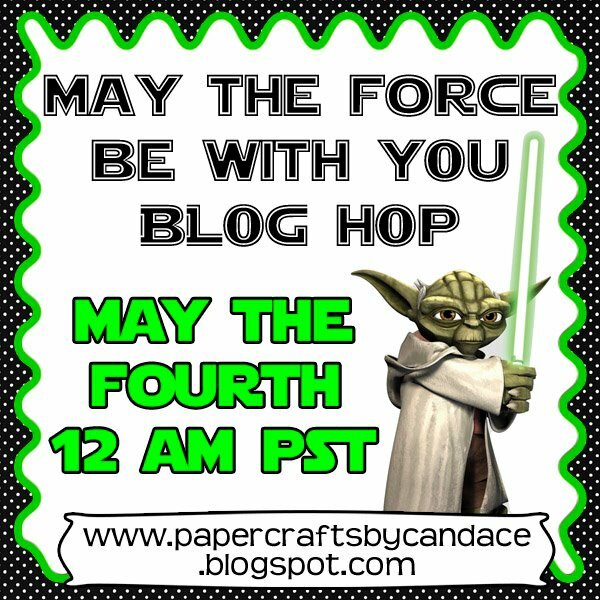 Soo many awesome Star Wars projects!! Thanks to everyone who hopped! 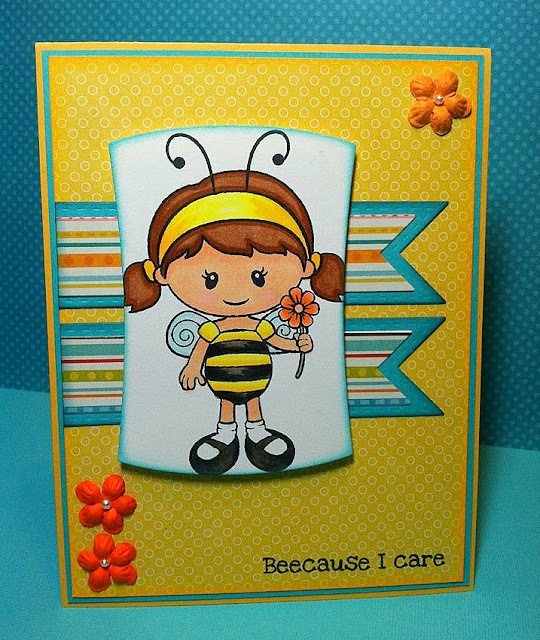 Random.org has selected the winner for the NERD Jaded Blossom stamps. Congrats Linsey. Please email us at admin@jadedblossom.com with your address so we can get your stamps shipped out to you. 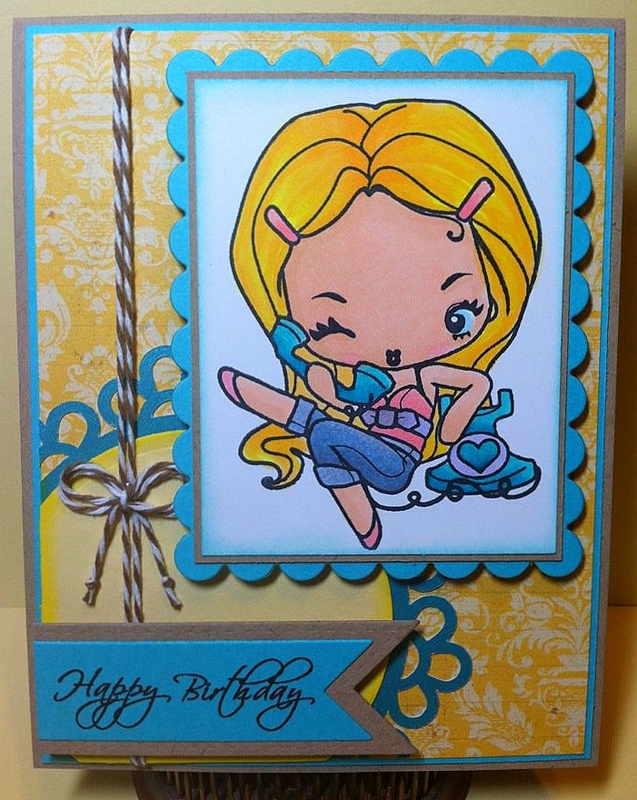 Now on to my card for the day..